Fathers surely are the superheroes for their kids. Apart from earning respect and money to support their family and themselves, fathers can be so much more. Undeniable, a father will love his kid like no one else in the world and they can run any competition when it comes to winning something for their child. But tell me one thing, How many children think their father is very cool? I know this poll won’t have many YES for the answer. Well, there are some dads who are not heroes and they are just working usual jobs but they can be as cool as you think. Yes, there are dads out there who are extremely cool to transform themselves into a painted giant or anything else. 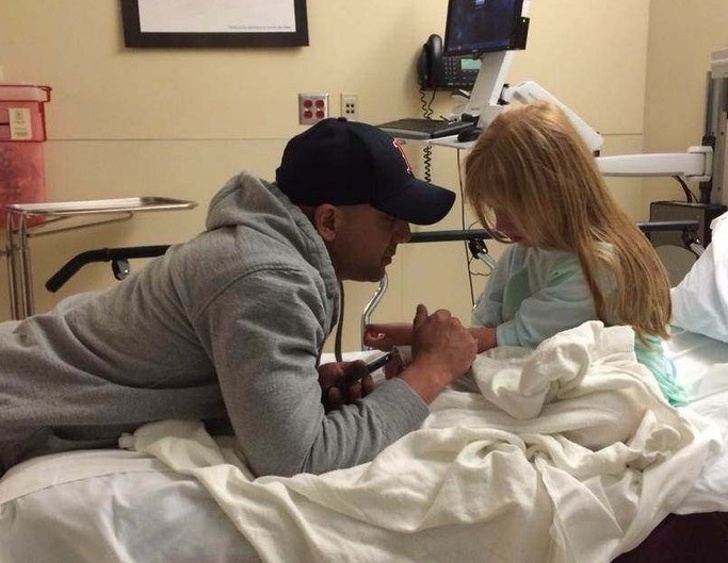 Here are some pictures of such great and cool father you surely won’t want to miss. 1. She was smiling until she was asked for a picture. 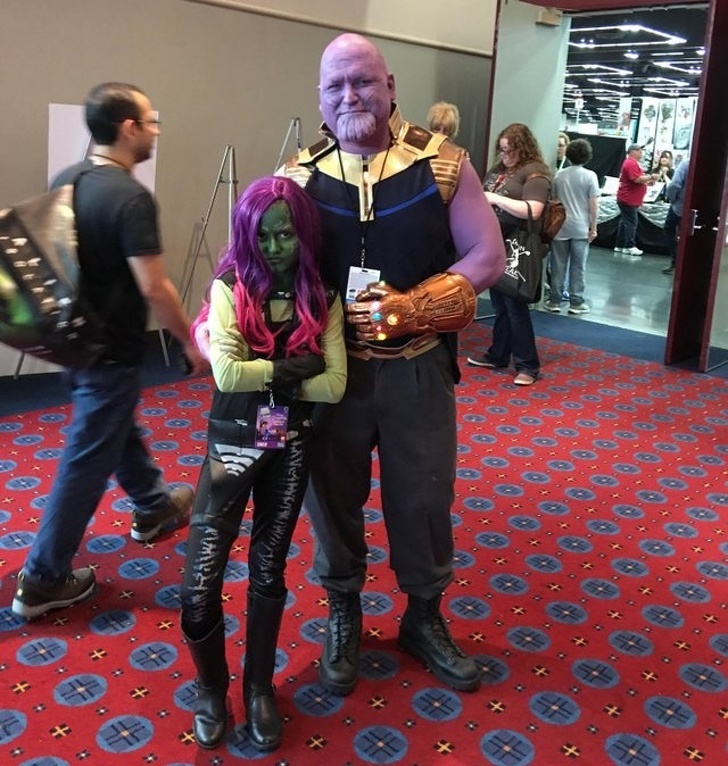 She instantly got into the character with her dad standing next to her. 2. He kept his hand like this for the journey of 45 minutes so that his daughter does not wake up. 3. My daughter was scared of getting a few checkups done so my boyfriend went up to her and told her that he will take them all to with her. 4. 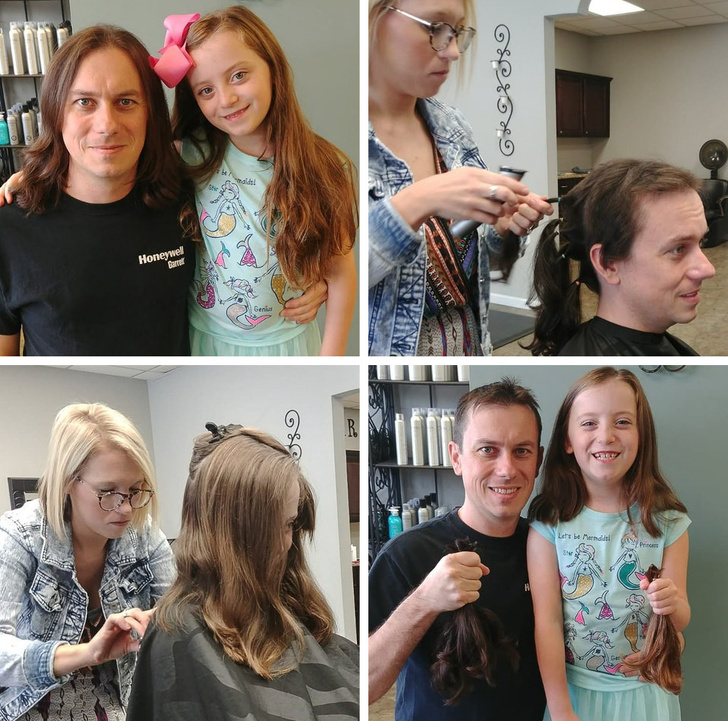 He donated his hair he had grown for 2 years for her daughter. 5. 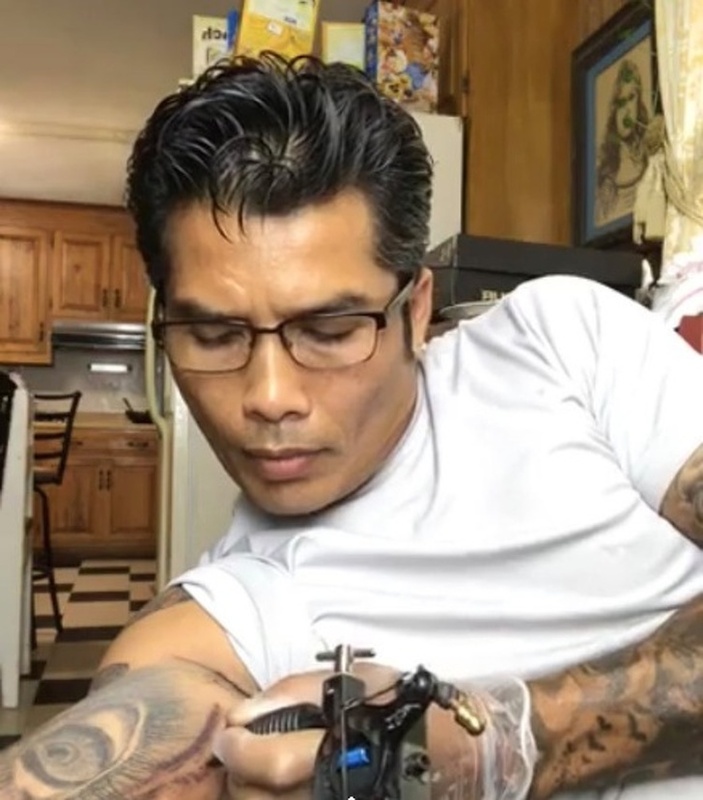 I went on Facebook and saw my father’s story tattooing himself live. 6. 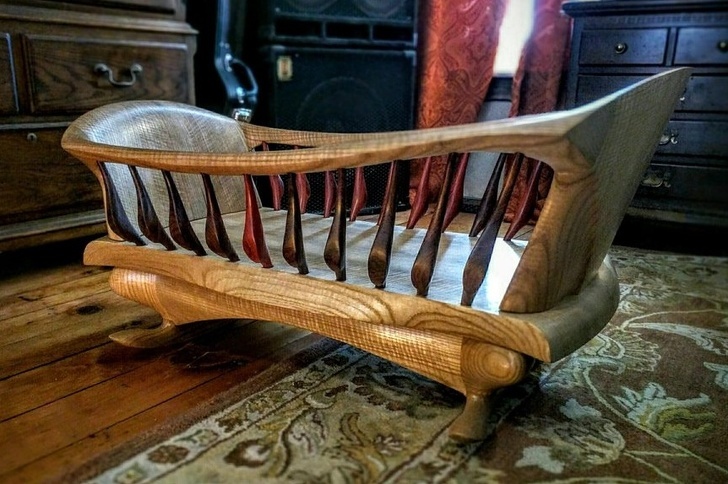 He made this with his own hands and it took 60 hours. Sad it will only be used for 4 months. 7. 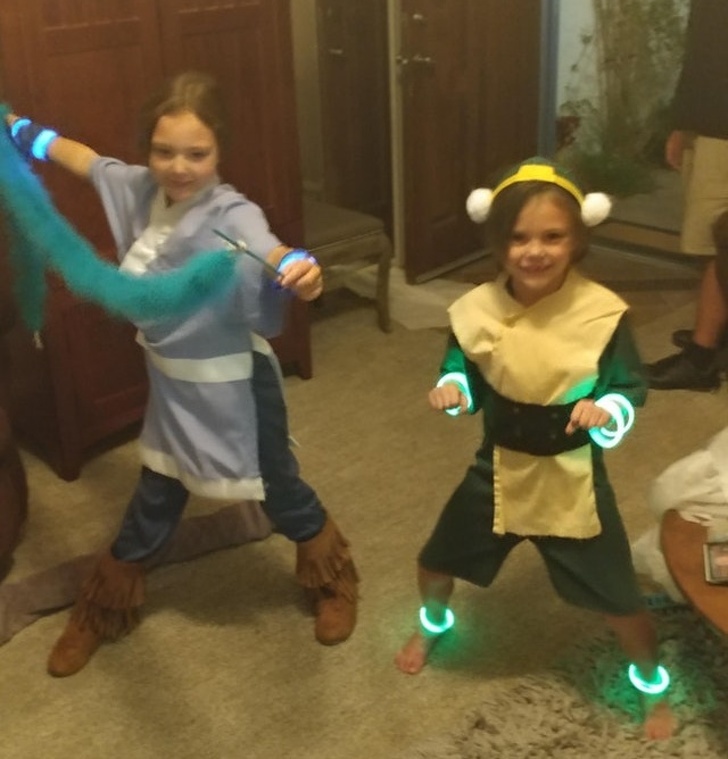 I am a single father now and had to sew them costumes as a tradition their mother used to do. I think I did a fine job though. 8. 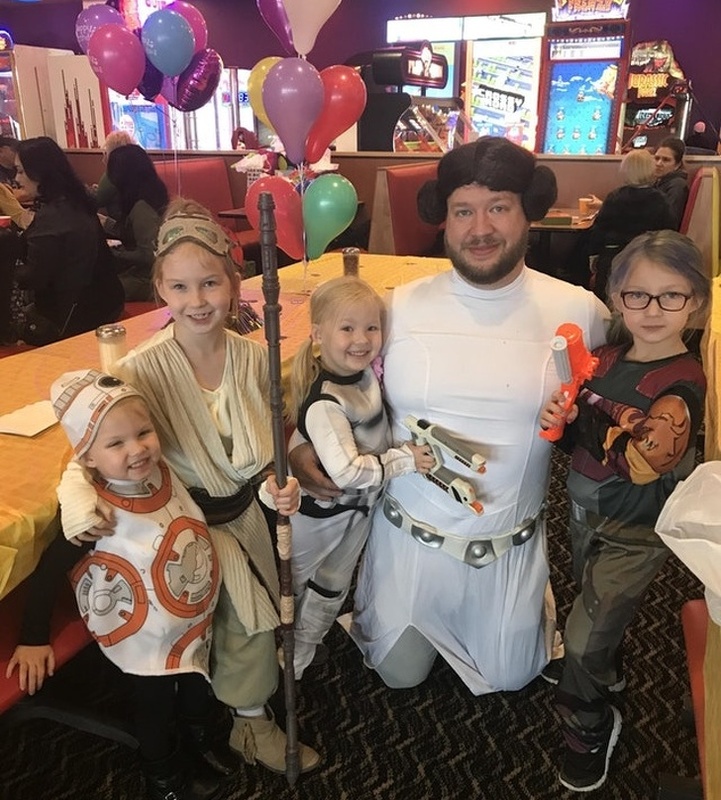 Single dad gave his daughter the Star Wars party she always wanted. 9. Just a father combing her daughter’s hair on the train. 10. 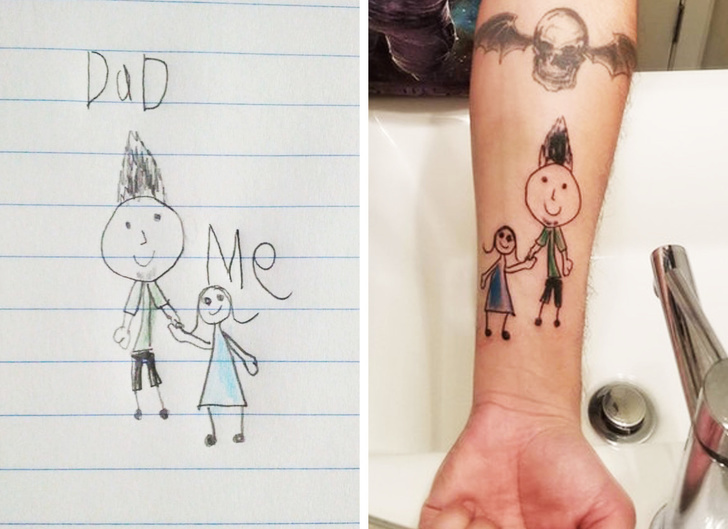 He got a tattoo of his child’s drawing. Oh god, my heart. 25. This dad loves protesting.